As a nation, there seems to be no slowing down in our relentless communication between each other, for social or business reasons. The invention of the mobile phone may have made our daily chats and calls increasingly geographically varied however, the use of the lindline in Britain is still a staple of our homes. A BBC article in 2009 ‘the slow death of landline phones’ discussed how Britain would survive without landline telephones. 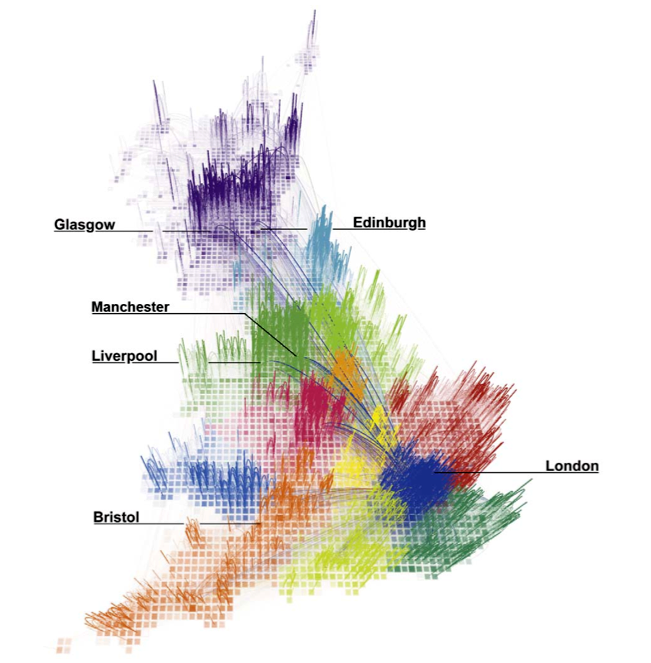 A recent research project from the Massachusetts Institute of Technology has mapped the social networking of Britain’s landline calls (see image above). The project used more than 12 billion anonymised landline telephone calls to model who Britons most frequently spoke to and where people spoke frequently and for extended periods, they were treated as having a stronger connection. The resulting map of social networks shows some instantly recognisable regions, such as London. The ability to map this kind of networking can be very important to help governments understand impacts, however, Pfaff in her article ‘Mobile phone geographies’ discusses the capability of the mobile phone to act as a technology of surveillance, leading to complex negotiations of freedom and control. One may argue that the mapping of landline phone calls is also a form of surveillance. Nonetheless what would make interesting research would be to map our mobile phone calls to see if there are still regions formed like the landline map. 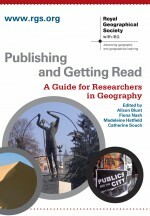 This entry was posted in Uncategorized and tagged Cultural Geography, Landline, map, Mobile phone, regions, Social Geography, telephone, Urban Geography on December 17, 2010 by Kelly Wakefield.